The presentation will be carried out by Dra. Vera Pawlowsky-Glahn, Dept. of Computer Science, Applied Mathematics and Statistics, University of Girona and Dr. Juan José Egozcue, Dept. of Civil and Environmental Engineering, Technical University of Catalonia. 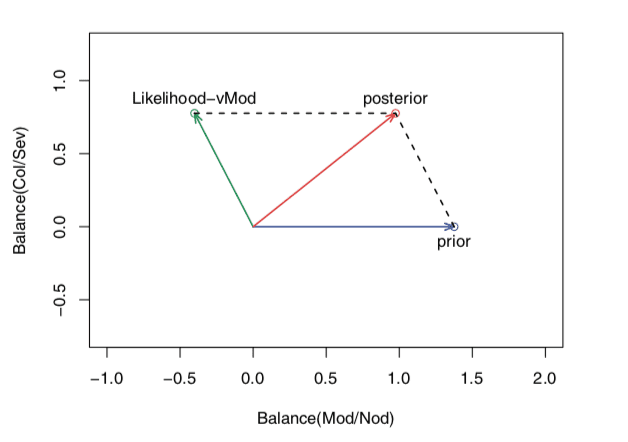 The discrete case of Bayes’ formula is considered the paradigm of information acquisition. Prior and posterior probability functions, as well as likelihood functions, called evidence functions, are compositions following the Aitchison geometry of the simplex, and have thus vector character. Bayes’ formula becomes a vector addition. The Aitchison norm of an evidence function is introduced as a scalar measurement of information. A fictitious fire scenario serves as illustration. Two different inspections of af- fected houses are considered. Two questions are addressed: (a) which is the information provided by the outcomes of inspections, and (b) which is the most informative inspection. Juan José Egozcue Rubí is Professor Emeritus of Applied Mathematics from the Department of Civil and Environmental Engineering of the Technical University of Catalonia. He is author of over one hundred research articles, ans is cur- rently focused on two lines: estimation of natural risks through Bayesian methods and statistical analysis of compositional data. Although most of the activity in the analysis of compositional data was related to geosciences as a framework of application, recently their interests have gradually expanded to other fields such as microbiome data, economic and social sciences . He is currently president of the Association for Compositional Data (CoDa-Association). Vera Pawlowsky-Glahn is Emeritus Professor of Statistics from the Department of Computer Science, Applied Mathematics and Statistics of the University of Girona. 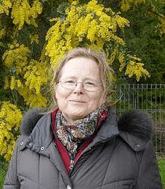 She is author or co- author of over a hundred research articles and several books in the field of the statistical analysis of compositional data, with special emphasis on the topics of the sample space of composi- tional data and of its structure. Her main areas of research interest include the statistical analysis of compositional data and its theoretical foundations, where the application to various fields, such as geology, environmental data and the microbiome, stands out. She has been the president of the International Association for Mathematical Geosciences (IAMG), where she has received several distinctions, and from the Association for Compositional Data (CoDa-Association).